Ultra-Touchbook. 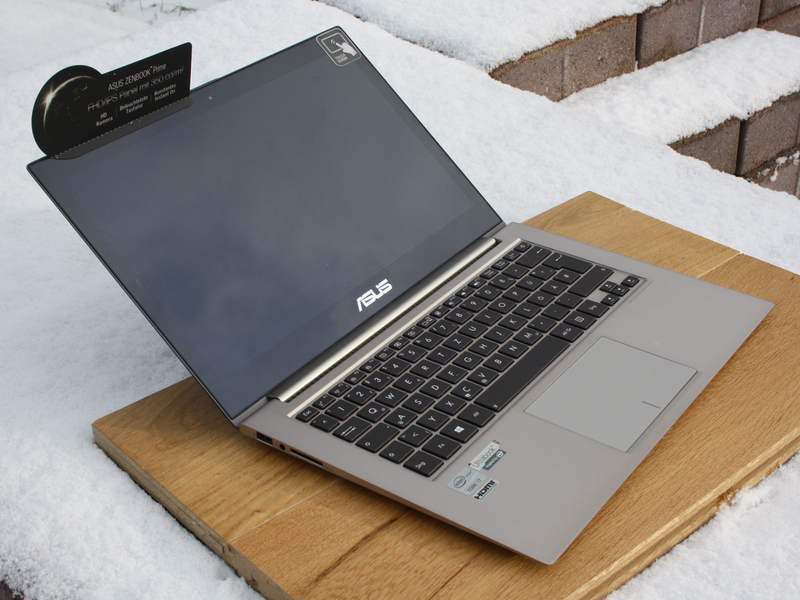 Few laptops of 2012 impressed us as much as the premium Ultrabook from Asus. The model achieved a rare 90%. Everything was perfect - even the display maintained a high standard. Will the touch panel make this great model even better? 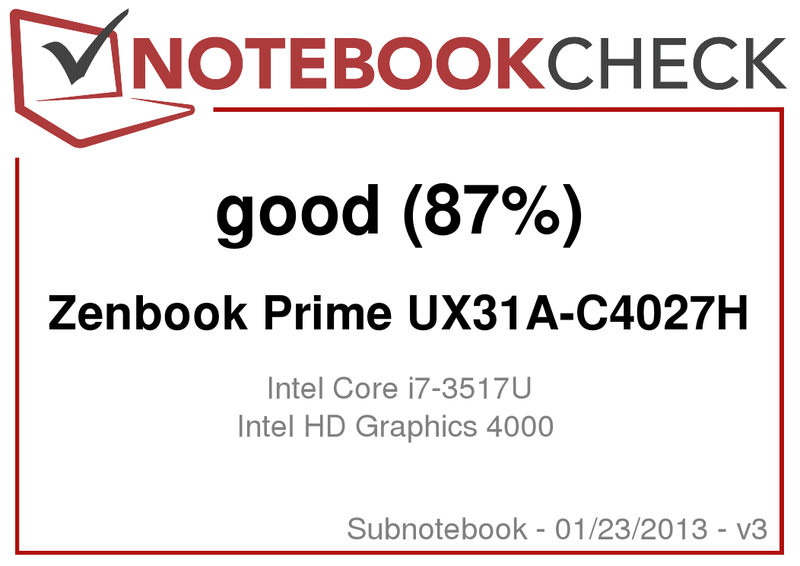 Asus Zenbook Prime Touch UX31A-C4027H: now even better than "Very Good" with the IPS touchscreen? "Super Ultrabook". 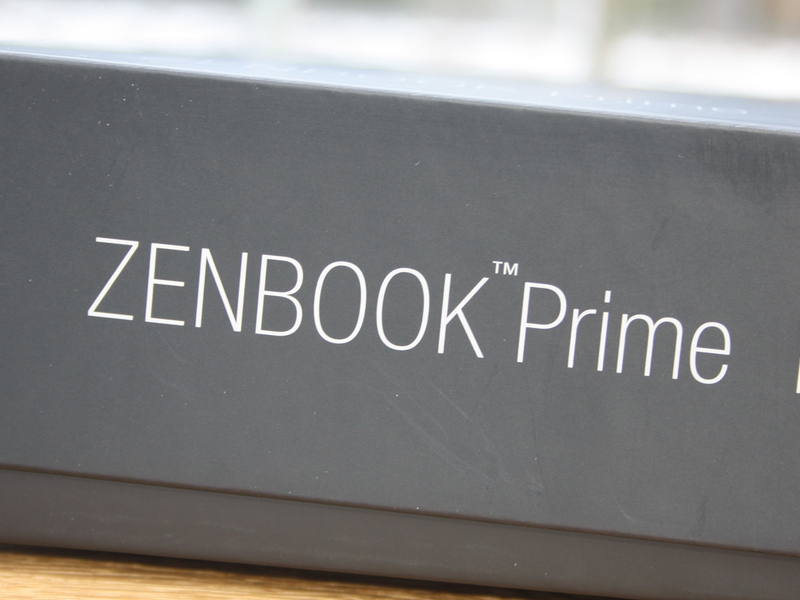 This is the title our editor chose at the end of June 2012 for the extensively tested Zenbook Prime UX31A. He was very impressed by the second generation of the Zenbook. 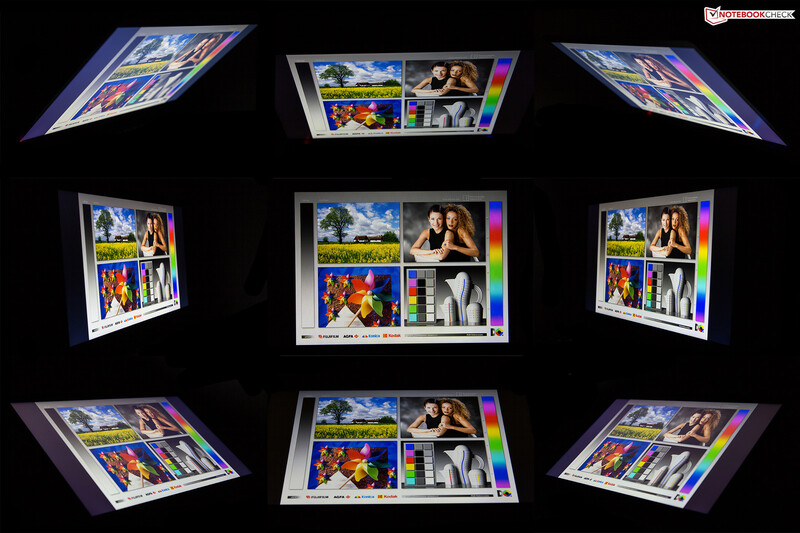 The matte Full HD IPS panel with great brightness and contrast is a special highlight of the model. There are few laptops on the market which are as good as this Ultrabook and they are probably priced higher than the UX31A. The UX31A models are an expensive delight: 1,050 to 1,500 Euros (~$1,426 to $2,037; different CPU and SSD configurations - the IPS panel stays the same). 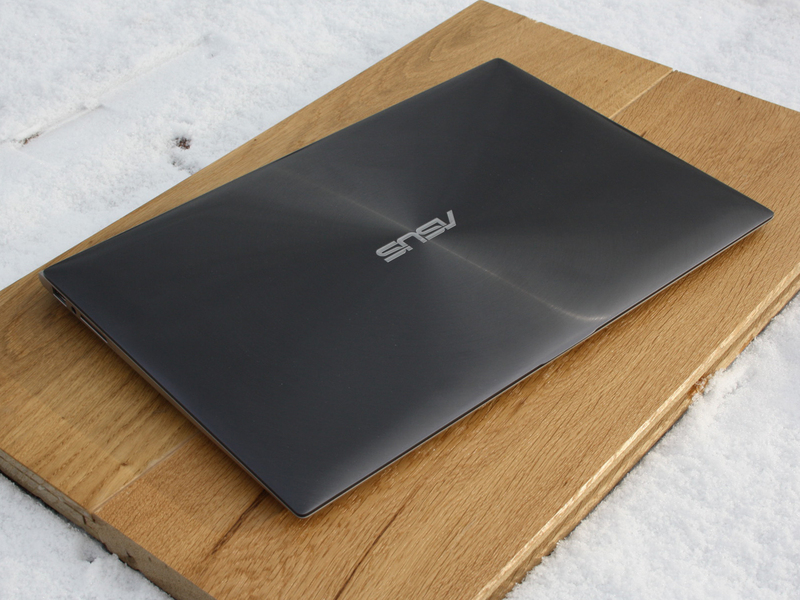 This model is Ultrabook royalty. Buyers looking for a device which offers great quality and extensive configuration will not find a cheaper model than the UX31A. 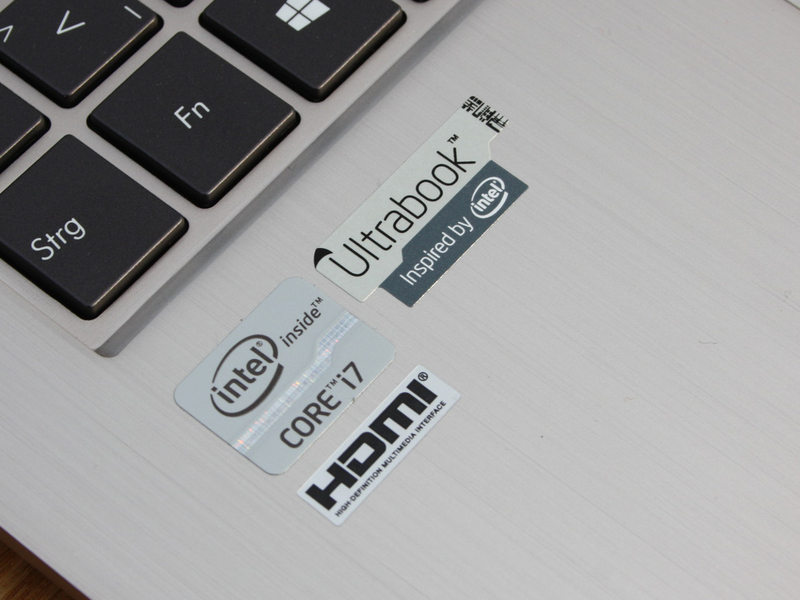 The UX31A-C4027H is very similar to the Ultrabook we tested last year. The most important upgrade would be the added touchscreen functionality. The entry-level price is 1,300 Euros (~$1,765; i5, 128 GB SSD). The advanced version (our test model: i7, 256 GB SSD) will set the buyer back by 1,500 Euros (~$2,037). This Zenbook has not changed much. The hardware has improved in the CPU department: an i5-3317U (1.7 GHz) or an i7-3517U (1.90 GHz). 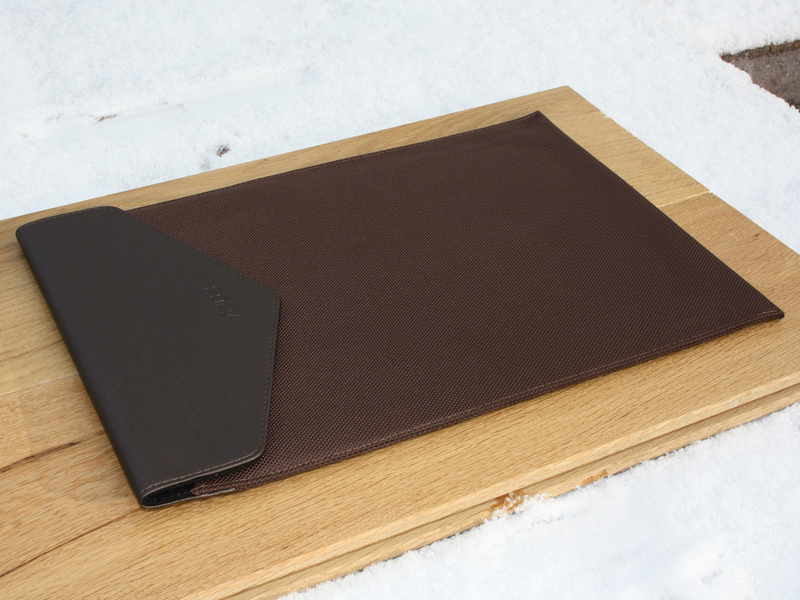 Due to the nigh identical nature of our test model to the previously tested Ultrabook, we will skip the workmanship, connectivity and input devices and dive straight into the display. If you wish to read up on the omitted sections, this link will direct you to our review of the non-touch UX31A. In the next section, we will find out if the technical specifications have changed considerably (we hope not). We will consider the performance of the Core i7 and ADATA XM11 256 GB SSD. Can the small base cool the CPU sufficiently? Are the battery runtimes with the i7 shorter than with the i5? Is the upgrade worth the money, or is the i5 and 128 GB SSD combo fast enough? The competition is scarce, as we can only include 13-inch models with great workmanship and a decent display. This is why we had to exclude the Acer Aspire S5-391 from our comparison (TN panel). The 13.3-inch panel of the UX31A is available in three configurations: TN HD+ (1600x900 pixels), IPS FHD (1920x1080 pixels) and IPS FHD touchscreen. 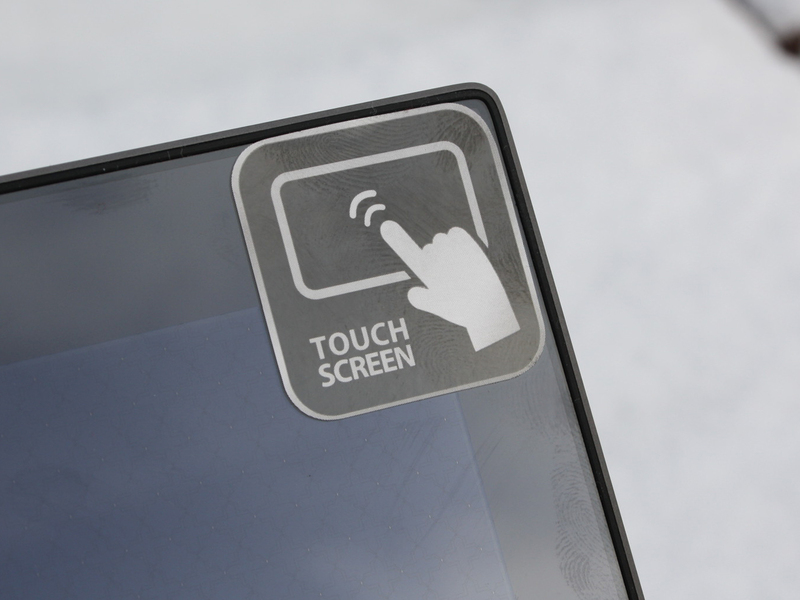 Our test model uses the IPS FHD touchscreen. We also tested the IPS FHD screen in the middle of 2012 in the UX31A and found it to be very good. The panel originates from CMN (N133HSG F31) and is an IPS screen (In Plane Switching), which should present the user with strong contrast and good viewing angles. The contrast measures 523:1, which is good, but not as good as the 929:1 contrast of its non-touch sibling. Displays of similar quality can be found in the ThinkPad X1 Carbon (HD+, TN), Aspire S7 391 (FHD, touch, IPS) and Samsung Series 9 900X3C (HD+, PLS). Of the above models, the Apple MacBook Air 13 (1,440 x 900 pixels, TN) has the worst display quality. The color space coverage is important for graphics editors, whereas normal users will find the contrast more interesting. The display almost covers the sRGB color spectrum. This means that the AdobeRGB color space is far from covered. The Zenbook UX31A Non-Touch has a marginally better color space coverage, as shown by the direct comparison in picture 4. Sadly, even premium Ultrabooks can perform poorly in this area, as shown by the Acer Aspire S5-391 (TN) in picture 3. Due to the low quality of the TN panel, we do not consider the S5 (800 - 1,000 Euros, ~$1,086 - $1,357) to be a suitable competitor. 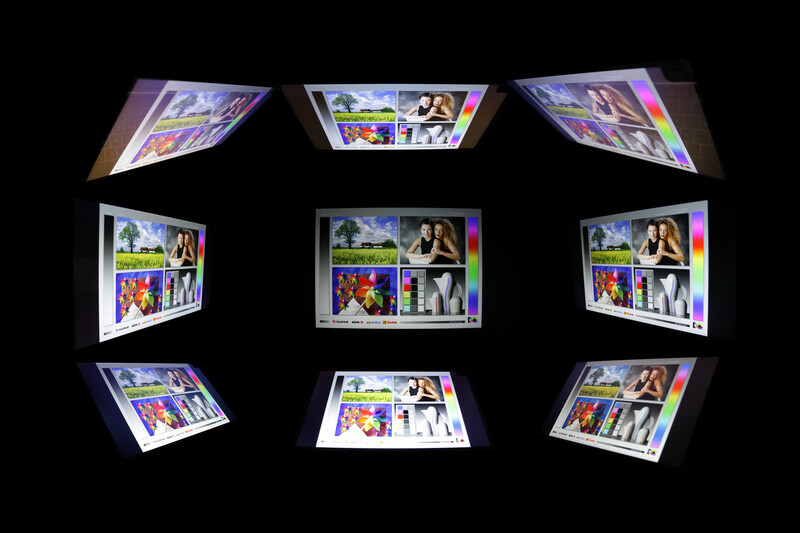 The following two rows of screenshots depict the color analysis of the i1 Pro 2 color spectrometer and the CalMAN 5 software. With the default factory settings, we detected weak grey tones. This did not change after calibration. The average DeltaE (2000) only sinks from 9 to 8. Noticeable: the white point (5,728 K) is close to the ideal of 6,500 but it lies a bit too far in the warm region. 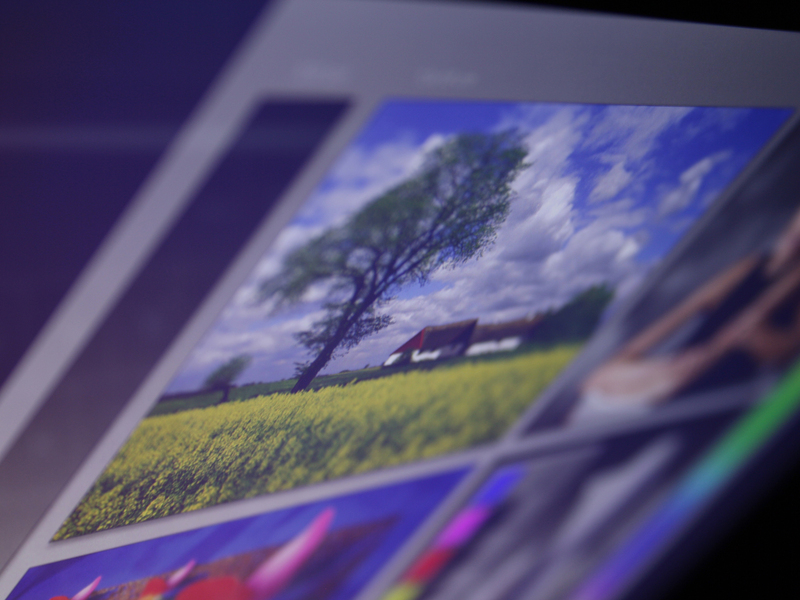 Most panels are the opposite: they lie above 7,500 and are too cool (IPS panel of Asus UX31A non-touch - 5,500 K). The panel does not have any blue tint and the colors are noticeably warm. The color accuracy is very good for a notebook. After calibration, only cyan protrudes from the DeltaE of 5. This performance is better than that of the relatively good display of the Lifebook T902 convertible (touchscreen). The white point lies right in the expected region of the CIE 1931 color standards table. The high brightness would have been perfect for summer. Sadly, Asus throttles the brightness down to 149 cd/m² while the laptop is running on battery. This setting cannot be changed. The brightness sensor has nothing to do with this odd behavior as the result is the same whether it is off (Fn combination) or subject to bright light (lamp pointed on the sensor). This means that the user will have a desktop which is too dark in daylight. Although the photos we took with heavy cloud coverage benefit the UX31A, the display content is still hard to read. We did not note such throttling in the UX31A non-touch (matte display). 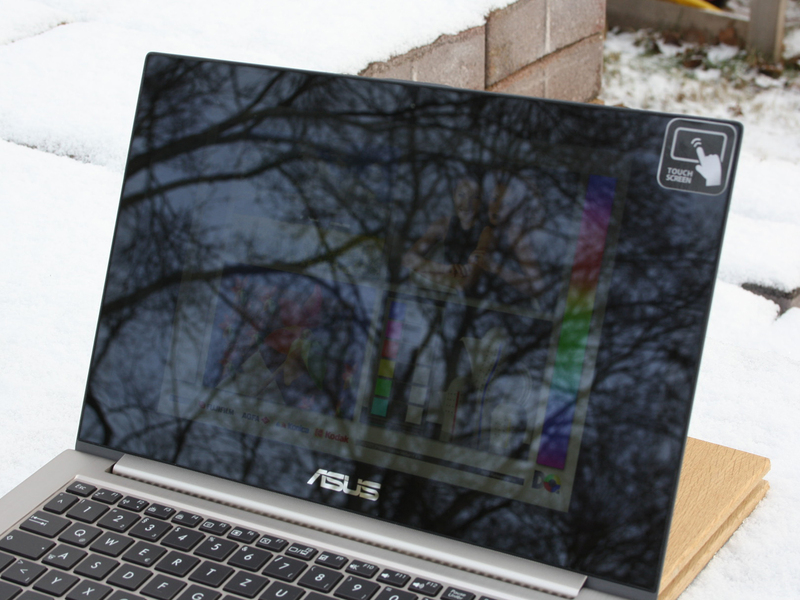 Thus, the non-touch Zenbook is superior to our test model in outdoors use. The same applies to the matte and bright displays of the ThinkPad X1 Carbon and Samsung Series 9 900X3C (neither throttle brightness). The Core i7-3517U (1.9 GHz) is an Ultra-Low-Voltage CPU with a TDP of 17 W. The clock speed can be increased using Turbo Boost 2.0 up to 3.0 GHz (single core load), but only if the cooling system can keep up. The alternative is the Core i5-3317U (1.7 GHz) in the Touch UX31A which starts from 1,300 Euros (~$1765; 128 GB SSD). The storage device is a 256 GB SSD from ADATA, which is connected to a SATA III interface. Our first UX31A test model was also equipped with an XM11 SSD. The Ivy Bridge i7 has an Intel HD Graphics 4000 on board. The test system has 4096 MB of RAM securely soldered onto it. The RAM is made up of two modules in Dual Channel mode. This will greatly benefit the graphics card (over Single Channel mode). The UX31A in the i7 configuration is priced at 1,500 Euros (~$2,037). Does the cheaper i5 configuration suffice? We believe so, as the 7 to 16% gap (Cinebench) to the i5-3427U and 3317U is too small to warrant such a high premium. The 3317U is the only alternative in the cheaper UX31A versions (starting at 1,050 Euros, ~$1,426). The Core i7 performs at the expected level, as shown by the Aspire S7 and Dell XPS 13 with the same core. The R11.5 benchmark graphic reveals something more: the cooling system has a secure handle on the Turbo Boost. The Samsung 900X3C, which is equipped with the same i7 CPU, processes 6% slower and the Aspire S5-391 is 11% slower. 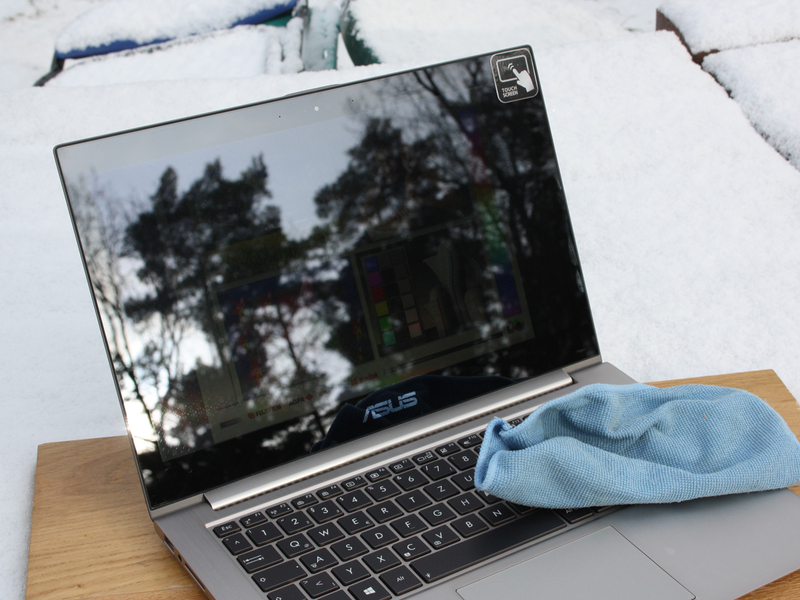 A well-functioning cooling system ensures that the laptop can run the CPU at up to 3.0 GHz (theoretically more, overhead) for longer periods of time at load or even constantly. As soon as the temperature limits set by the manufacturer are crossed, the laptop throttles the processor - in the worst case, below the base clock speed. Thankfully, such a throttling is not to be found in the UX31A. The clock speed during the CPU Multi-test stays at a constant 2.8 GHz. We experience the same in the R11.5 Solo-Core test. On battery, the user does not have to sacrifice performance. The R11.5 tests (even OpenGL via GPU) deliver identical results. An i5 delivers good performance, but how does the overall system performance look? PCMark 7 rates the overall performance and includes the CPU, GPU, RAM and storage device (SSD). The result of 3,724 points is far behind the direct competition (see graphic). What causes this? The CPU performance is not to blame: the Computation and Productivity scores beat all i5 systems (UX31A with i5: -10 %) and stands at the same level as an i7. The System Storage (a sub-score of PCMark 7) grants the ADATA XM11 a score of 5,332 points, which can compete even with the RAID 0 SSD of the Aspire S7 and S5. The Storage score is found by running multiple read and write tests. We explore the score in more detail using the Crystal Disk Mark and AS SSD benchmarks. The grounds for such a weak overall score is the Entertainment score, which is 105% lower than that of the UX31A with i5 and 85% lower than that of the Dell XPS 13 with the same CPU. Looking at the sequential read and write rates, the XM11 lies slightly behind the RAID 0 system of the two Lite-On SSDs of the Aspire S7 391 and S5. Most other SSDs are trumped by our test model - even the 128 GB XM11 of the UX31A non-touch sibling is beaten. Only the Samsung 900X3C (Lite-On LMT-256M3M) can secure a 27% lead. However, this result is deceiving as in the 4K test, which is more relevant in practical use, both UX31A models beat the rest of the competition clearly. Even the RAID SSDs of both Aspire Ultrabooks are left behind. If you want to peruse the individual SSD performance in detail, take a look at our SSD benchmark table in the FAQ section. The table contains the test results of all the SSDs we have tested in our models or individually. An SSD which lies quite close to the XM11 is the Intel SSD 520 series (SSDSC2BW180A3L, 180 GB) of the EliteBook Folio 9470m. The performance of the installed HD 4000 IGP has been tested in countless of our test models. However, taking another look is important due to two reasons: depending on the memory operating mode (Single or Dual Channel) and Turbo clock (theoretical and practical), this IGP varies in a wide bandwidth. While surfing on the web, the performance differences are not noticeable, but it is noticeable when the IGP is used for general processing (even hardware acceleration to reduce CPU load). Our Performance and Scaling Overview of Intel HD Graphics 4000 will give your more information about the IGP. Theoretically, the IGP operates at between 350-1,150 MHz. In the GPU benchmark, Cinebench R11.5 OpenGL, we only found 950 to 1,000 MHz. The GPU stress test Furmark is completed by the UX31A at 1,050 MHz. The performance is not bad because of this. In fact, the score of 5,110 point in 3DMark06 can keep up well with the competition. No competitor uses a dedicated graphics card, which could have caused problems for our test model. The OpenGL-test supports the 3DMark 06 result and shows that our test model is quite high-class. 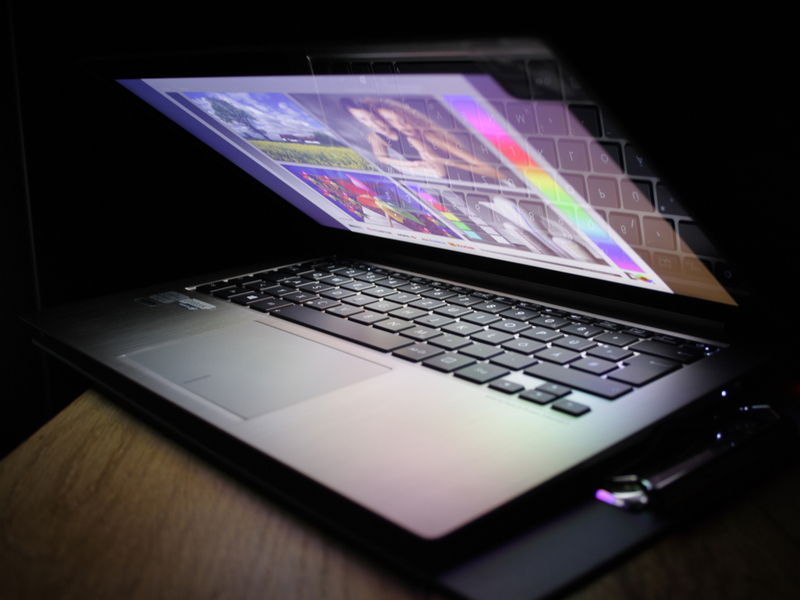 Buyers can expect a performance gap of 12 to 20% in comparison to the UX31A with Core i5. We ran three games to test the gaming affinity of the HD 4000 IGP. Sadly, it tends to be zero when running brand-new games. A lower resolution and no AA (low details) allow the IGP to run less demanding games at medium details fluidly. 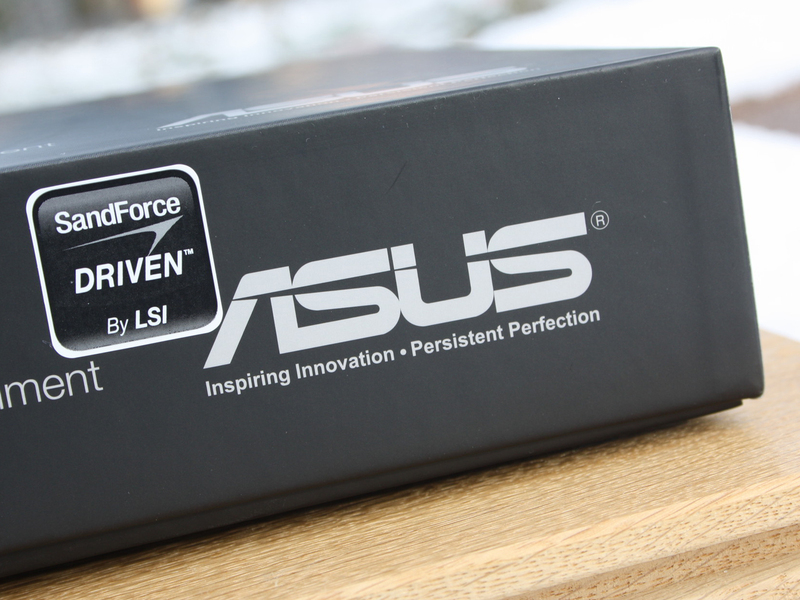 An entry-level GPU, like the GeForce GT 620M installed in the Asus UX32VD, is about twice as fast as the HD 4000 IGP. The UX31A is comfortably quiet during load or while it is idle. The fan often turns off which drops the noise emissions to zero (silent SSD). When the fan runs, it is at an acceptable 30.3 dB(A). The fan presents a conservative behavior and does not abruptly change its speed. At max performance (stress test comprised of Prime95 and Furmark), the laptop emits up to 40.5 dB(A). The fan vibrates slightly and is thus slightly irregular. At normal load (running 3DMark 06), the fan turns at 37 - 38 dB(A). 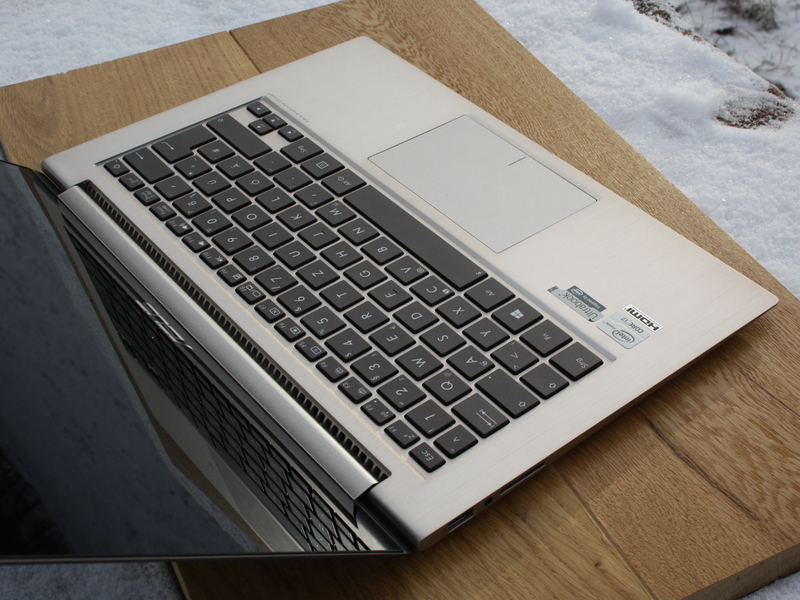 While idle, the Ultrabook remains cool in the keyboard and hand-rest regions. In this state, there is no difference to the i5 model. At load, the situation changes - we measure up to 51 °C on the surface of the model (top and bottom - in comparison, the i5 model reaches a max 44 °C). The ventilation opening is placed under the hinge of the display and fresh air is sucked in above the keyboard. In office use, with little load and long idle periods, the temperatures rise just a few degrees above the idle state. Thus, it is possible to use the Ultrabook on the lap. Our stress test presents an extreme situation which helps us check the efficacy of the cooling system. The UX31A with Core i5 throttled down to 1.7 GHz after a while - this is the base clock speed of the 3317U. Thus, Turbo was "off", but throttling was not present. Our Core i7 system has a harder time: in the stress test, the CPU clock speed drops down to 1.7 - 2.0 GHz after a while. This puts it temporarily below the base clock speed of 1.9 GHz. We are talking of limited throttling here. The everyday user will not suffer from this drop in speed as it only occurs in extreme situations. When we ran 3DMark 2006 right after the stress test, we noted the same score as before (in the cold state). The HWinfo tool shows a max CPU temperature of 91 °C. The Touch UX31A with i7 requires a little more power while idle than its 13.3-inch sibling, the UX31A non-touch with i5. We measure 5.7 - 12.2 W for our test model while idle (min/max). In comparison, the previous UX31A requires 4.4 to 10.3 W and even has a brighter display. In the stress test (CPU + GPU), the power consumption rises to 40 watts. The missing Turbo and slight CPU throttling are noticeable here as the 39 W power consumption during 3DMark06 lies quite close to the stress test measurement. The i5 model requires 31.5 - 36 W (also no Turbo in the stress test). The battery still has a capacity of 50 Wh. The runtimes are also more or less the same. While idle, the test model lasts 8:58 hours (i5 configuration: 10:48 h). The idle runtime does not present us with a time which is viable during everyday use, as the test takes place with minimum brightness, wireless modules off (Flight mode) and idle CPU. The WLAN test cuts off after 4:20 hours (i5: 4:42 hours). This presents us with a more practical time as the brightness is set to 150 cd/m² (highest level while on battery) and a script loads websites every 40 seconds (at times, videos as well). The load runtime (Battery Eater Classic) is 2:25 hours, which is exactly the same as the runtime of the i5 version. In this case, the higher power consumption of the i7 system is probably offset by the lower max brightness (286 instead of 375 cd/m²). The competition has more to offer in terms of WLAN run time. 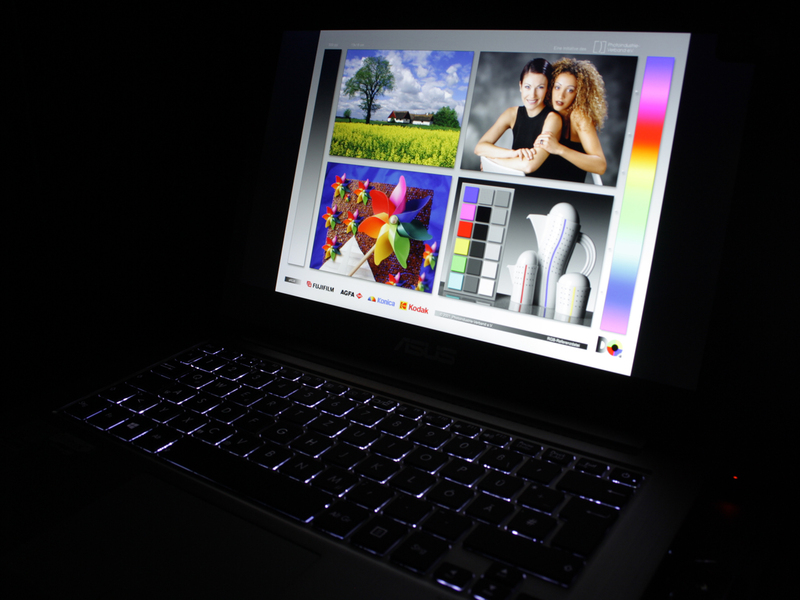 The Acer Aspire S7 391 (3:29 h) is an exception due to its smaller battery capacity. Here are the WLAN run times of the competition: MacBook Air 13-inch 2012-06 (6:03 h), Dell XPS 13 (Late 2012) (5:30 h), ThinkPad X1 Carbon (6:07 h), Samsung 900X3C (6:47 h). At the beginning, we posed the question whether the Zenbook Prime UX31A with touchscreen is better than the previously-tested and praise-worthy non-touch model. At the end of our test, we give the test model a rating of 87% (Good), which is slightly lower than the 90% rating (Very Good) of the previous model. So what went wrong? The Zenbook fails to attain a great rating due to certain flaws. Let us start with the new panel: the display has half the contrast (523:1 instead of 1,000:1). Still, the colors are strong on the IPS panel and the effect is strengthened by the glare type panel. However, due to the glossy nature of the panel, it falls prey to strong reflections (standard deduction in points in the rating system). 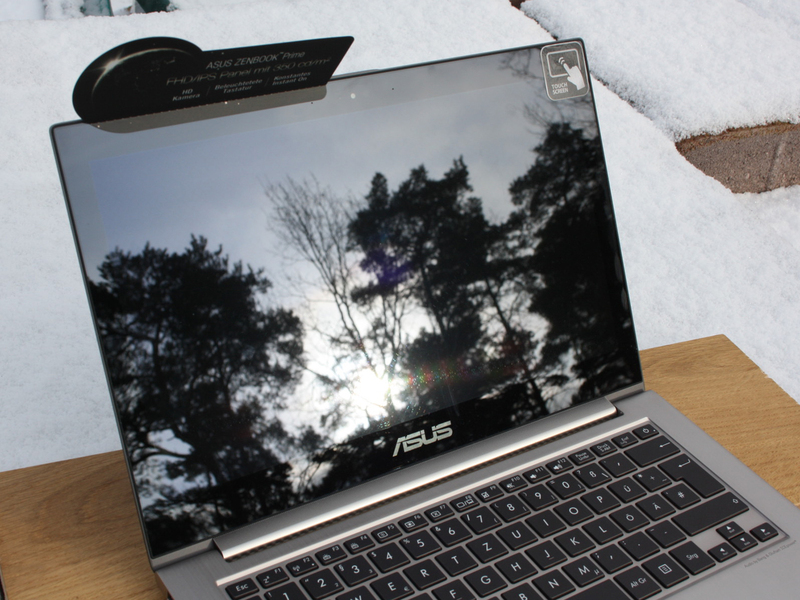 Of course, the edge-to-edge design is nice to look at, but the throttled brightness on battery, combined with the strong reflections, make the laptop hard to use outdoors. We did not find such a throttling of brightness in the non-touch sibling. Finally, the lowered average brightness (when connected to the socket) adversely affects the rating. The combination of these flaws drops the once great display rating of 96% down to 81%. This is no longer the royal class, despite the fact that the display cuts a good figure in an overall comparison to the competition. However, it still lies behind the Samsung 900X3C-A04DE (89%, matte, 1600x900 pixels, PLS) and ThinkPad X1 Carbon (87%, matte, 1600x900 pixels, TN). Still, the UX31A Touch can keep up or beat the Acer Aspire S7 391 (79%, FHD, Touch, IPS), Dell XPS 13 (76%, HD, TN) and Apple MacBook Air 13-inch 2012-06 (81%, 1440x900 pixels, TN). The battery life remains in the same region, despite the fear that the Core i7 may prove more power-hungry. The rating remains at 90% thanks to the WLAN run time of 4:20 hours. Unfortunately, the Core i7 test model was subject to slight CPU throttling in the stress test: the clock speed fell to 1.7 - 2.0 GHz (below the base clock speed = throttle). In the CPU Multi-tests (pure processing power) and game tests (including 3DMark06 - depends on the CPU), the processor delivers its full performance. Even on battery (active Turbo - 2.8 GHz), the CPU provides good performance. Thankfully, the i5 configuration has no CPU throttling during the stress test. In short: performance geeks may be slightly disadvantaged, but normal users will not notice this drop in speed and so we cannot place it on the con list. Finally our tip: if you want a first-class display, which is better than most of the competition (96% display rating), the non-touch UX31A (Standard FHD IPS) is what you have been searching for. The laptop is available starting at 1,050 Euros (~$1,426). Asus Zenbook Prime Touch UX31A-C4027H: a strong Ultrabook, but the lower quality of the touchscreen drops the rating significantly. Can it get a bit better? The great sturdiness of the aluminum unibody is still the same. The luxury package (similar to Apple's) includes accessories. as well as an Ethernet dongle (no internal LAN card), a Mini-VGA to VGA d-Sub and USB to Mini-USB adapter (for example, for Smartphones). 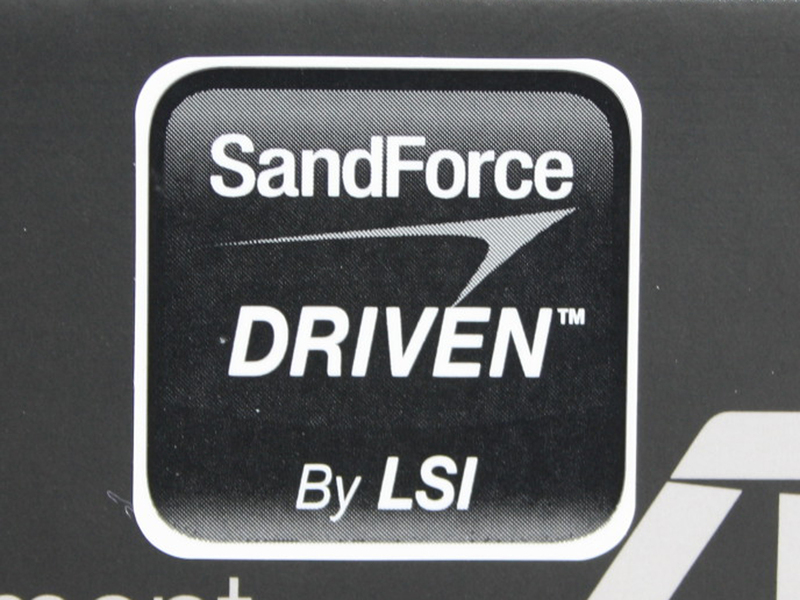 The model uses the "SandForce driven" ADATA XM11 SSD. 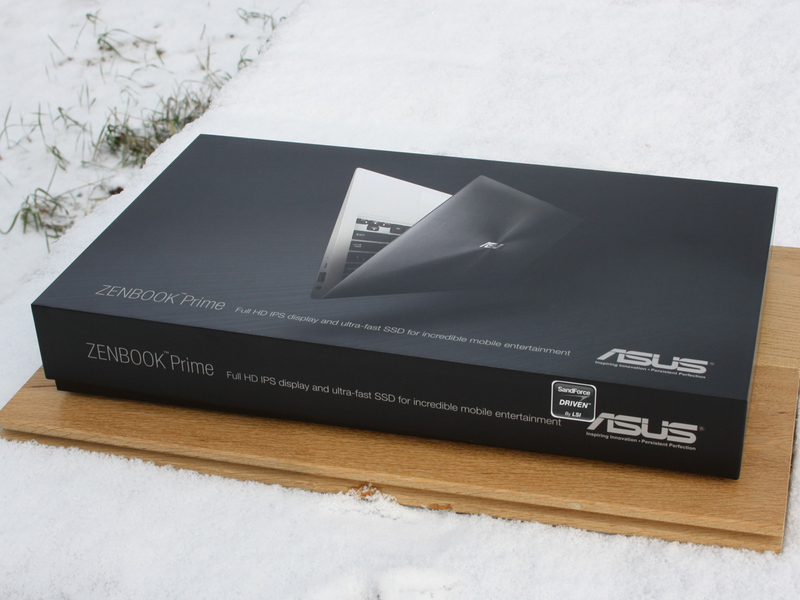 ASUS Zenbook Prime Touch UX31A-C4027H: as before, one of the best 13-inch Ultrabooks on the market. 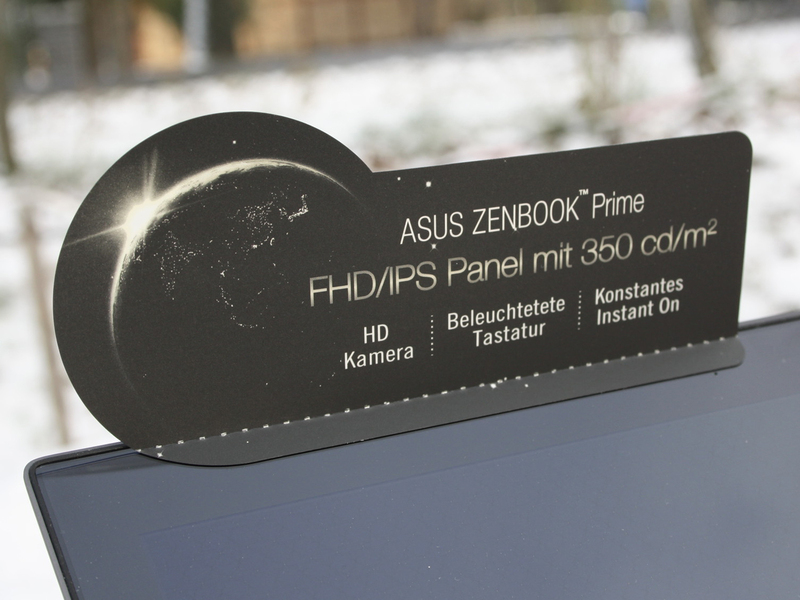 ASUS Zenbook Prime Touch UX31A-C4027H: farewell matte TFT surface. The panel extends edge-to-edge. ASUS Zenbook Prime Touch UX31A-C4027H: the contrast has dropped. The disadvantage to the non-touch version: the panel is very reflective. 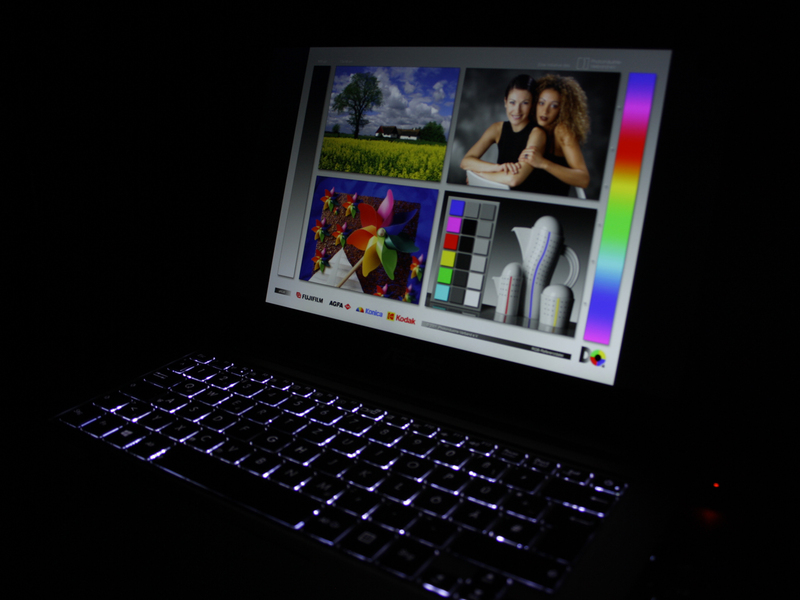 Three dark room photos show the three levels at the same TFT brightness. Via the Fn + F3/F4 combination, the illumination can be altered as necessary or even switched off. 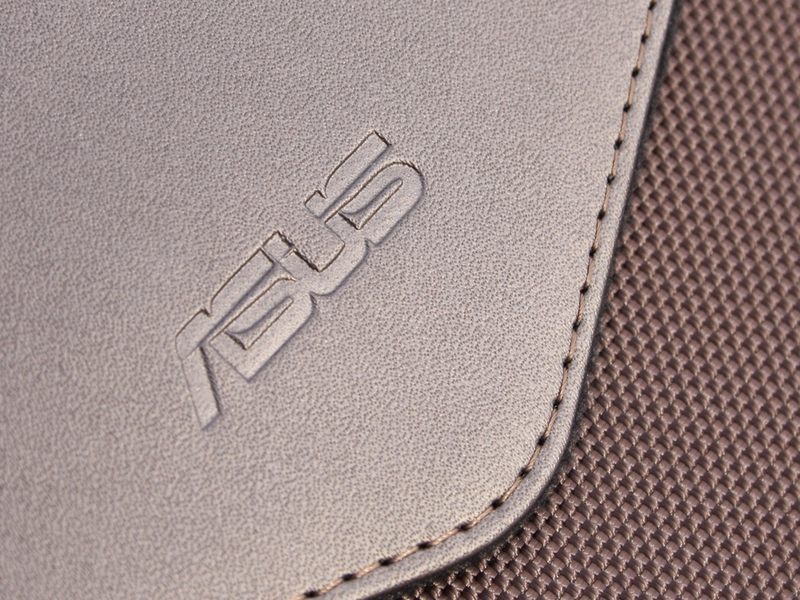 Asus equips the Zenbook Prime UX31A with a touchscreen. Are the great values of the non-touch version maintained? The contrast and viewing angles of the first IPS panel were cause for great joy. Asus does not use the same CMN panel, but instead has chosen a N133HSG F31 from the same manufacturer (Chi Mei Innolux). This is detrimental to the previous contrast of 1,000:1. The contrast drops to 523:1. The brightness also drops, but it is kept at a high level - 286 cd/m² (average). 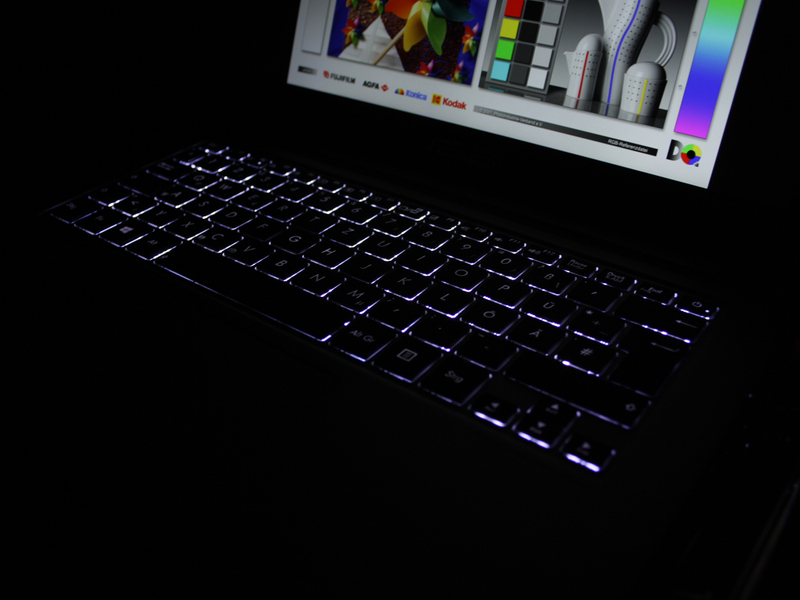 The sRGB color spectrum is not covered as well as before - the color coverage has shrunk slightly. 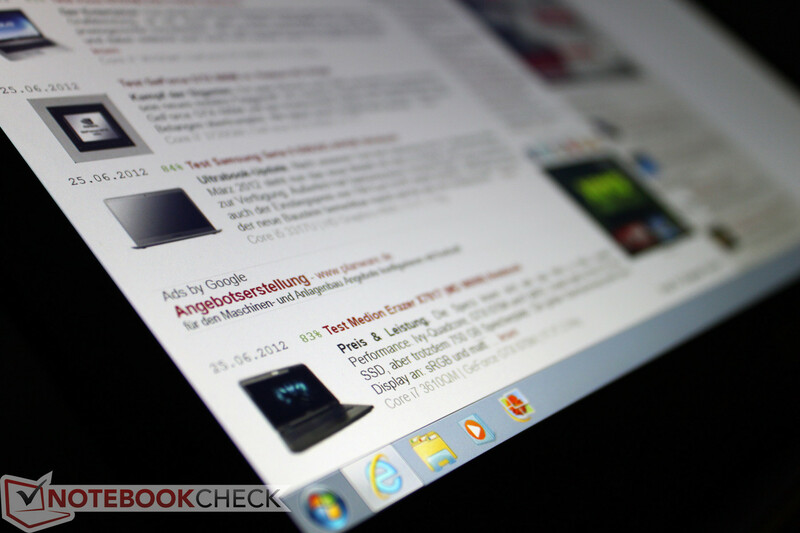 The keyboard backlight with three brightness levels is still available in the Zenbook. 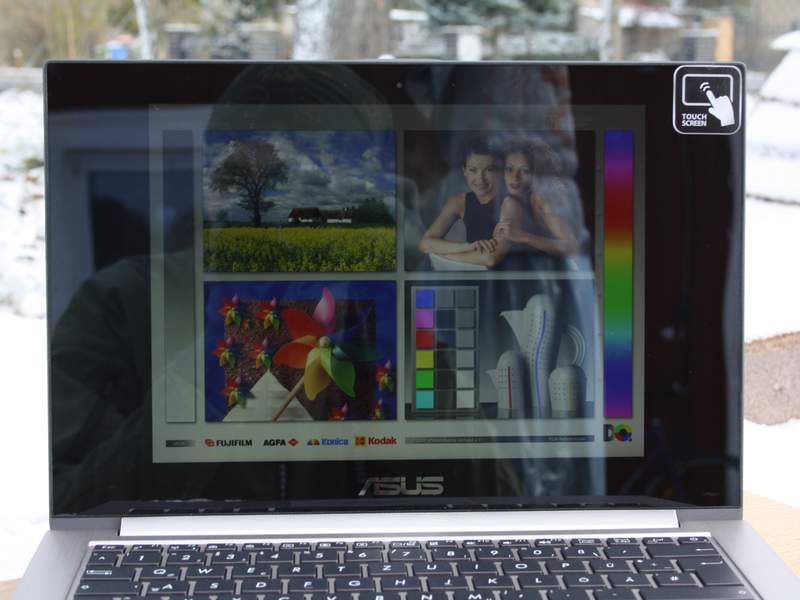 ASUS Zenbook Prime Touch UX31A-C4027H: Asus still employs an IPS panel with broad viewing angles and a nigh complete coverage of the sRGB color space. The flawless workmanship of the full aluminum chassis is a stunner. This is the standard for sturdiness in a notebook. A docking interface on the bottom would not distort the look and would be useful to many business users. 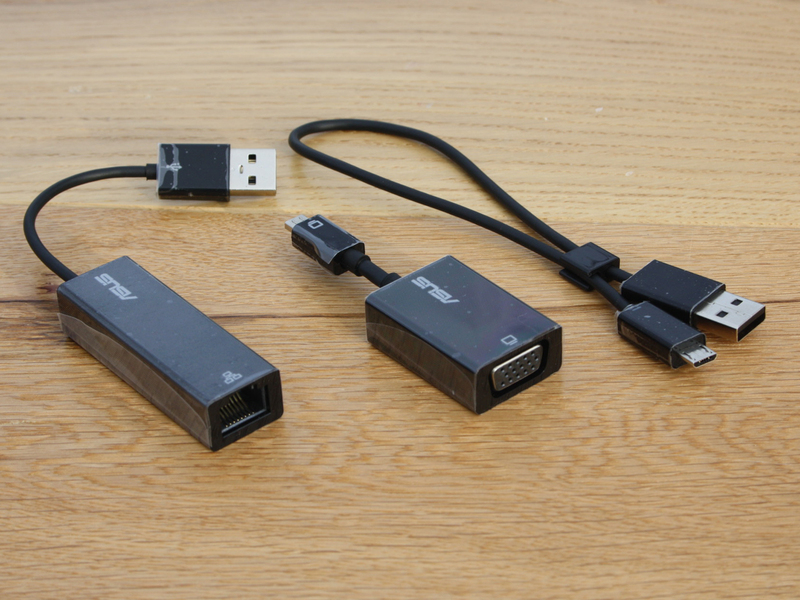 Without one, the user has to carry dongles around or purchase a USB 3.0 dock. External displays are some times disadvantaged by USB. The throttling of brightness is unacceptable. The lower contrast and reduced max brightness were aspects the user could have come to terms with.